Designed for FMS-F3 multi-fuel stove, this container stores and transports fuels such as white gas and kerosene. 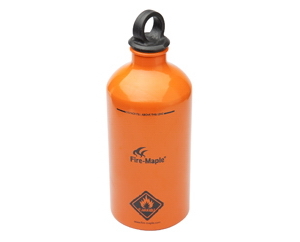 The FMS-B500 fuel bottle adoptes a high quality thicken aluminium, one body shape and extra-bearing design, which enhance the safety & durability of the bottle as well as making it more distortion resistant. The bottle also used specific oil rub-resistance paint, which is oil-corrosion resistant and color durable. 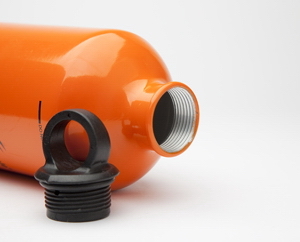 The new oil bottle cap seals better and with its standard connecting threads, it also accept the pumps from all major liquid fuel stoves other than the FMS-F3.